A joyful journey of live music, drama and film will travel along the north east coast next week in a series of pop-up performances to celebrate the arrival of world-class performing arts training in Aberdeenshire. Rovin’ Tales will officially launch the Royal Conservatoire of Scotland North East Arts Hub (RCS North East Arts Hub), a partnership between the Royal Conservatoire of Scotland and Aberdeenshire Council. On Friday, August 10, Rovin’ Tales will put creativity at the heart of communities with four performances, in four coastal towns, in one single day. 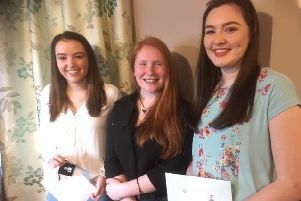 The event will showcase the work of 12 to 18-year-olds who have taken part in skills development days and workshops hosted by the RCS North East Arts Hub in Fraserburgh. Performances will be held at Duff House in Banff, Macduff Arts Centre, Drummers Corner in Peterhead and the Dalrymple Hall in Fraserburgh. The Royal Conservatoire of Scotland and Aberdeenshire Council have joined forces to establish the RCS North East Arts Hub, part of a commitment to ensuring as many people as possible across Scotland have access to performing arts education. The RCS North East Arts Hub offers a range of programmes for all ages including traditional music, composition, drama, filmmaking and choir groups. Encompassing the areas of Banff, Macduff, Fraserburgh and Peterhead, it is not rooted in any one town or venue, but is an Aberdeenshire-wide initiative. The RCS North East Arts Hub will host a free week of workshops for young people from August 6 to 10 at Fraserburgh Academy. Courses are available in Traditional Music Band (ages 12-19), Composition and Sound Production (ages 12-19), Drama and Devising (ages 12-19) and Film (ages 16-25).